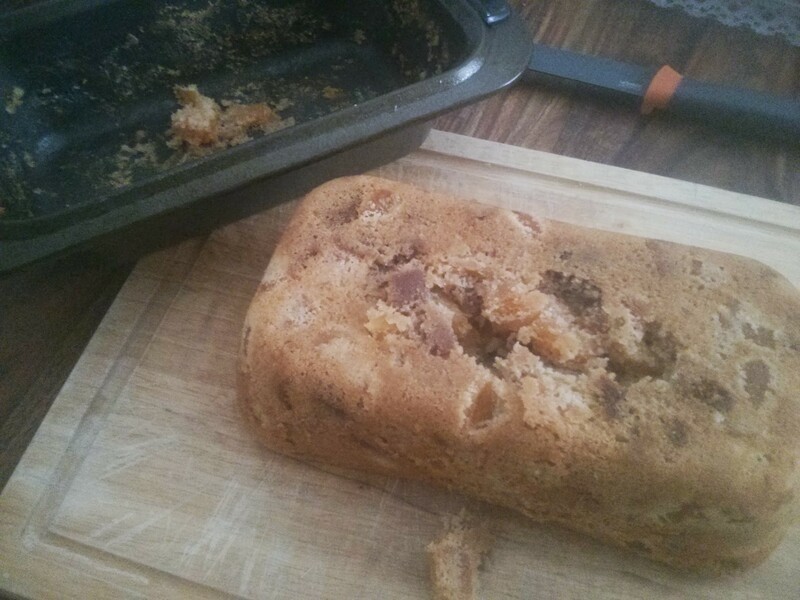 Using Up Figs & Apricots: Cake! 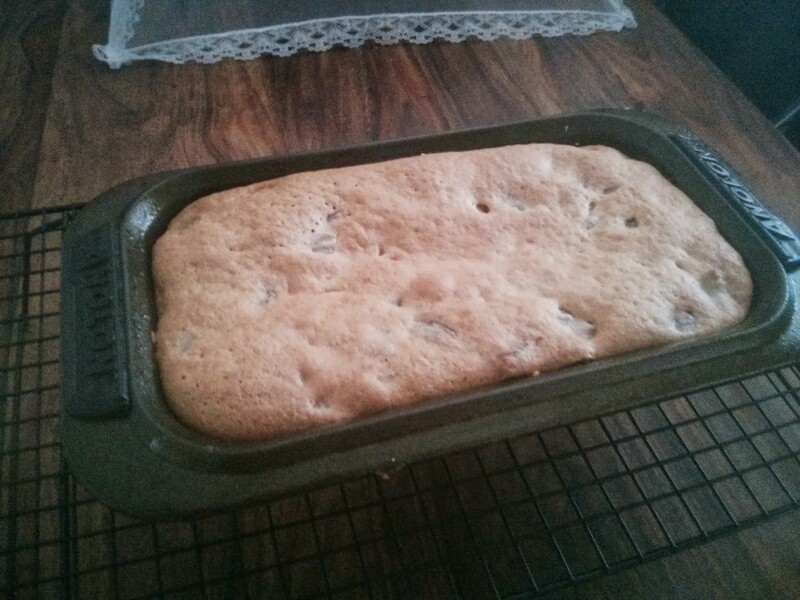 Finally in the effort to use up figs and apricots… it’s cake! It’s based on a Greek cake from Vefa’s Kitchen. The cake doesn’t use butter, and uses whipped egg whites to create structure, which was a nice change! So I start by getting mise en place. Then I make the egg white meringue thing. 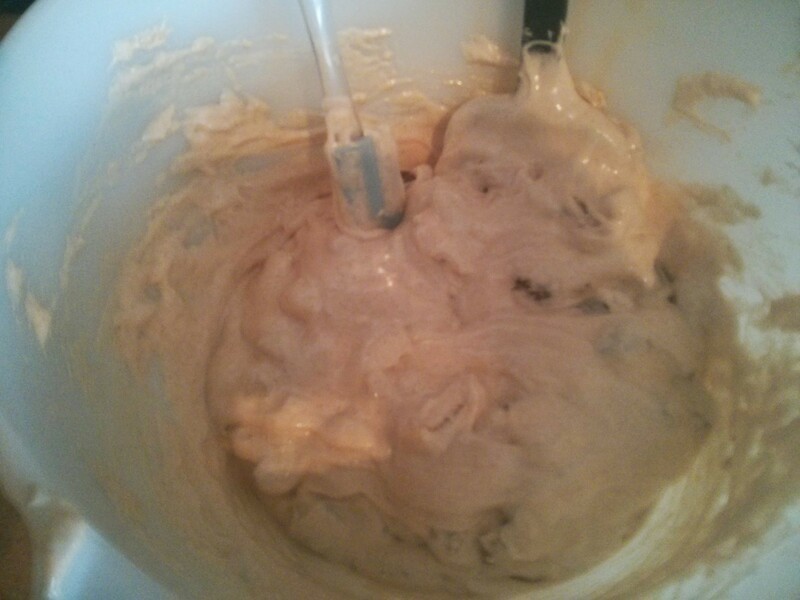 Whip to soft peaks, add the sugar to stiff peaks. 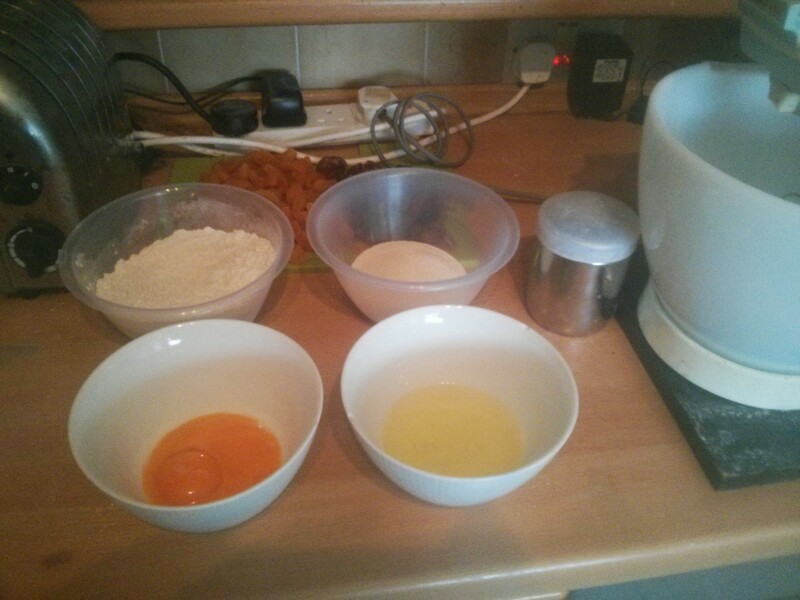 Then the yolks get mixed in, then flour/cinnamon/baking powder folded in. Then the chopped figs and apricots get folded in. 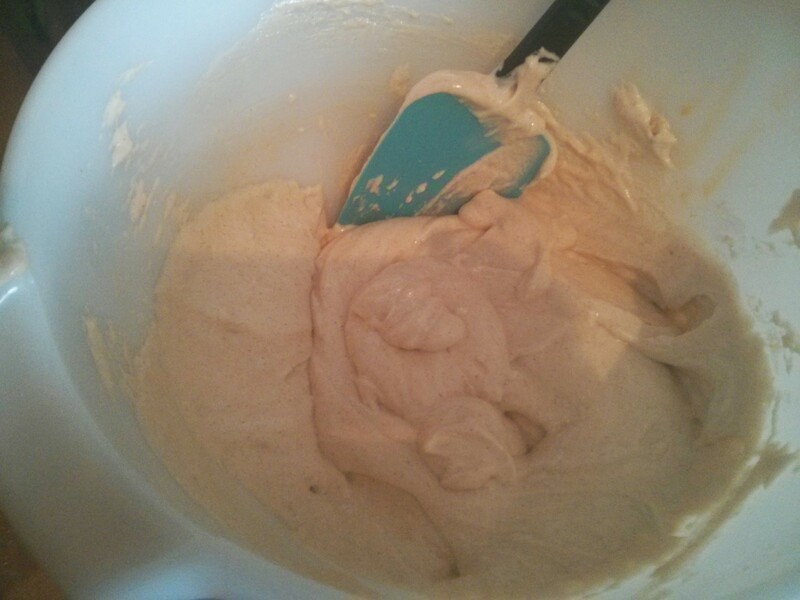 This then goes into a greased loaf tin. 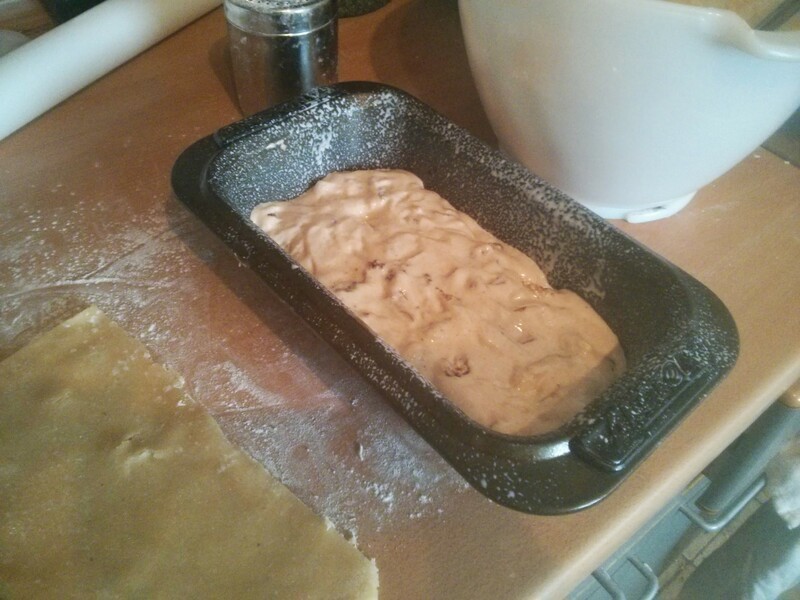 Oh and due to excess marzipan from the fig rolls… I shove a layer of that in the middle! After an hour in a low oven, 130f, it looks great! After a couple of hours it felt cold, so I turned it out. Yeah… turns out it was still warm inside! 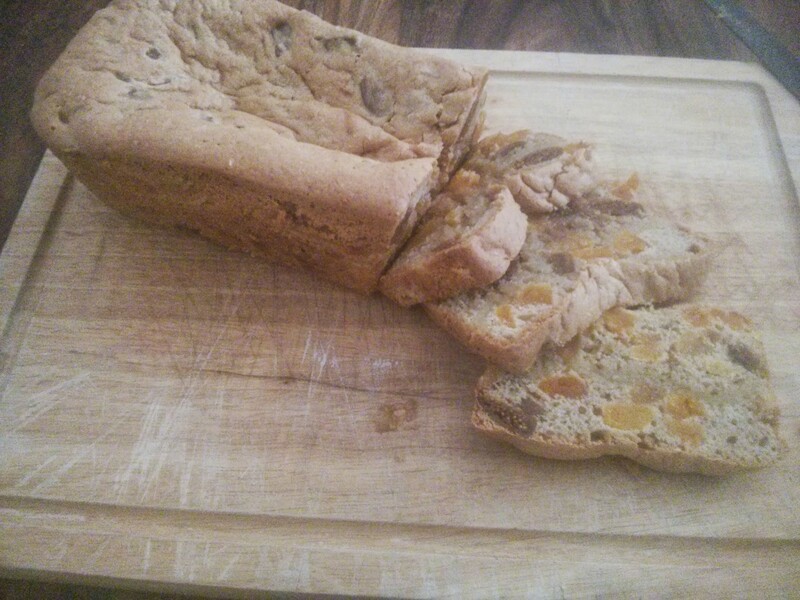 Oh well… I’m not stopping now, I’m having a piece! The end pieces are nicely done… but it’s a bit soggy in the middle. 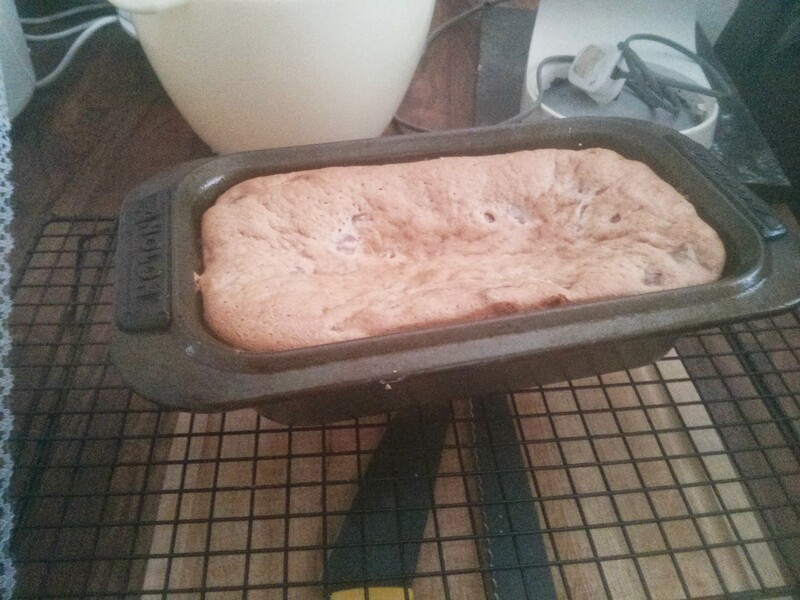 I think it probably could have done with an extra 10 minutes in the oven, plus a proper few hours to totally cool. However, it tastes lovely, a bit like xmas cake according to Soph.